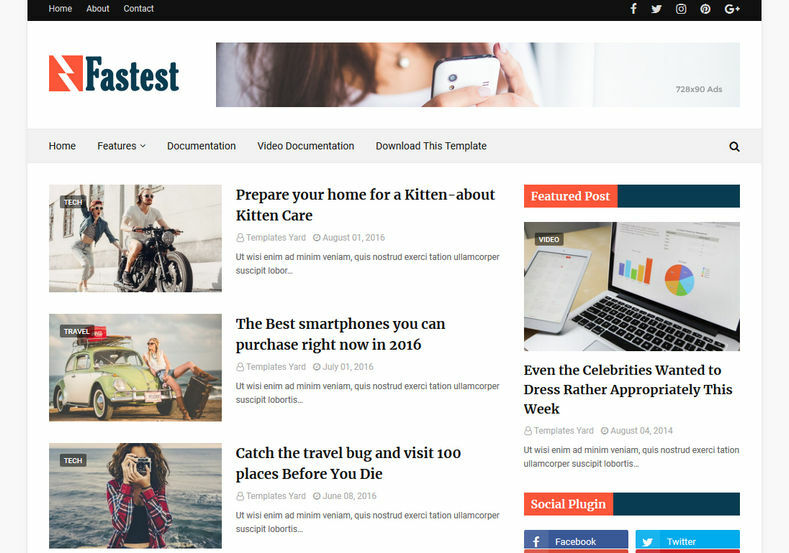 Fastest Blogger Template is an ultimate fast loading blogger theme that loads in no time. 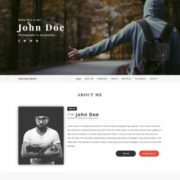 It is very differently designed blogspot template keeping blogger’s official widget intact it helps you to create an amazingly responsive blog that perfectly fits any screen size or device. 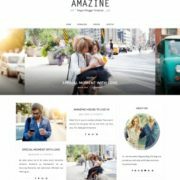 Since it takes less loading time, this theme is ideal for smartphones, which provides you an opportunity to attract mobile users. 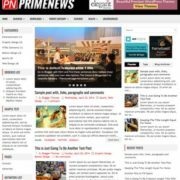 This template is ideal for business, corporate, blog, personal website or any other type of site with it. 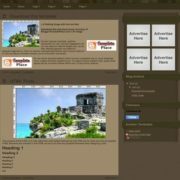 Best suitable for blogs like niche, food, review, howTo, movie, critics, DIY, tutorial blogs, institutions, exams, banking etc. 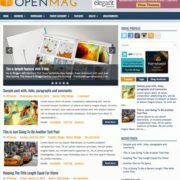 Being a highly optimized theme which outperform any other template available for blogger. 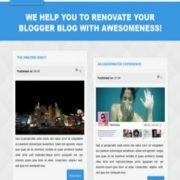 It comes with minimal and simple looking color scheme of red, black and white, which can be customized through blogger dashboard very easily. 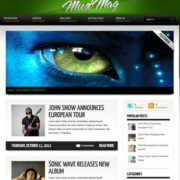 Seo Ready, Browser Compatibility, Responsive, Adapted From WordPress, Social Bookmark Ready, Post Thumbnails, Ads Ready, Drop Down Menu, White, Red, Black, Fashion, Elegant, Simple, 2 Columns, Email Subscription Widget Ready, WhatsApp Sharing, Magazine, News, Breadcrumb Navigation Ready, Business, Blogger Layout Version 3.0.